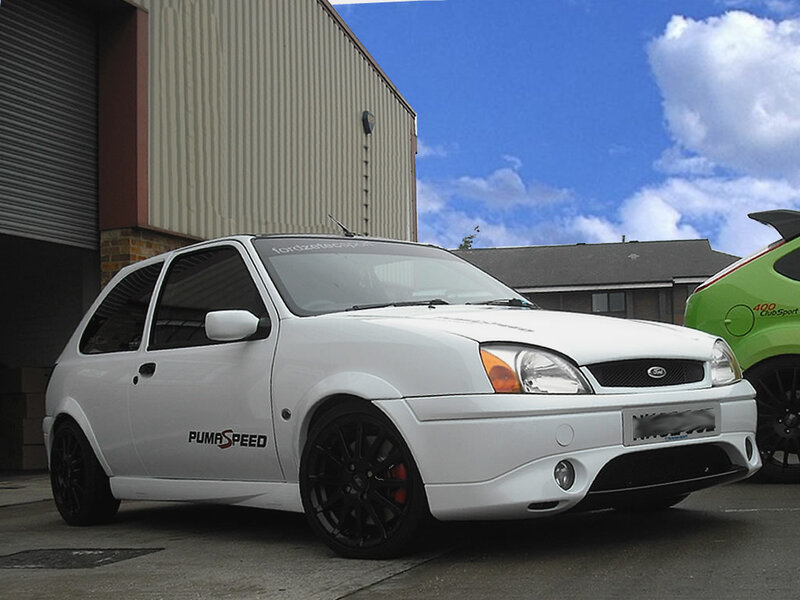 Customer Fiesta Mk5 Zetec S with Ford Racing Puma Engine Conversion shown above. Pumaspeeds experience with the Fiesta Mk5 Zetec is second to none. Pioneering the reintroduction of Performance Manifold in 1999 with their 13 year tuning partner Milltek Sport. This Mk5 Zetec Fiesta 1700 benefits from the very reliable and trusted power gains of the EVO manifold and exhaust combination delivering a solid 150bhp as in the Ford Racing Puma. Pumaspeed can turn your Fiesta into a little track weapon that will eat the straights and more importantly the bends ..
Take a quick look at the Fiesta Products below to fine tune your own Fiesta Mk5.